About the User: This project was commissioned by a client who sells, installs and maintains fire equipment (alarms and extinguishers) business-to-business. Due to the nature of the equipment, much certification is required and servicing completed needs to be current. Project Brief: To update their existing solution which had been built by a now retired developer to resolve several issues and so supported on new and 64-bit operating systems. 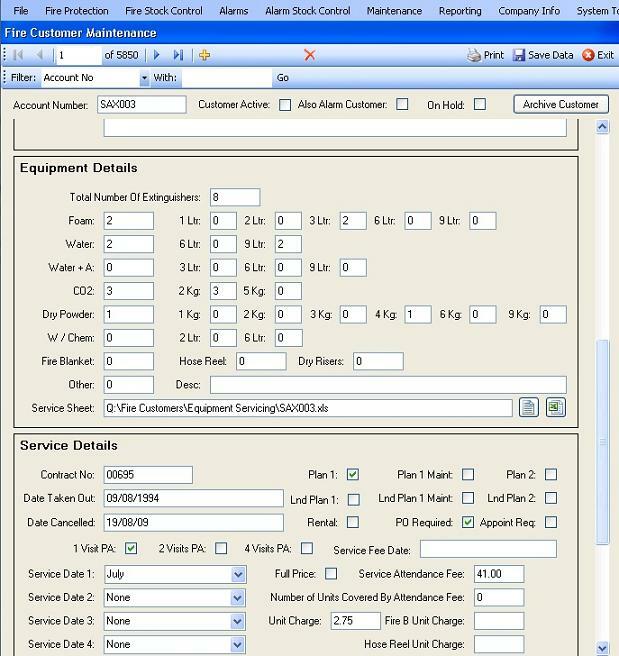 The system itself helps to manage the lists of various products that a customer has bought and replace the previous very paper-based system. Recording service schedules and certification expiry dates. Printing certification and service schedules for engineers. Efficient and accurate central management of all customer details. Replacement of the previous very manual, paper-based system improving office-based staff efficiency and productivity.